Homeruns & History is hosted in partnership with the Ybor City Saturday Market and the Ybor City Museum Society. Proceeds of the event will benefit the Tampa Baseball Museum at the Al Lopez House, which is currently in its final capital-raising campaign. 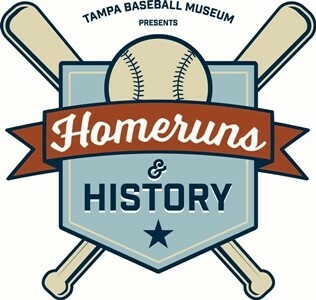 TAMPA, FL – The Tampa Baseball Museum, along with Honorary Host Lou Piniella, Tampa’s iconic professional player and manager, and title sponsor the Tampa Bay Rays, will host Homeruns & History, a free family-friendly event to celebrate the rich history of the game in Tampa on March 23rd from 11 a.m. until 3 p.m. in Ybor City’s Centennial Park (1800 E 8th Ave, Tampa, FL 33605).